This page has been provided to allow access to various bios for Winnifred Louis in case people are needing to scrounge something at the last minute! Alas, they are not all equally up to date. Further information about my research can be found on my researcher profile or official UQ page. Winnifred R. Louis (PhD McGill, 2001) is a Professor in the School of Psychology at the University of Queensland. Her research interests focus on the influence of identity and norms on social decision-making. She has studied this broad topic in contexts from politics and community activism to health and environmental choices. Winnifred is presently Associate Editor of Peace and Conflict: The Journal of Peace Psychology and has served or is serving on the editorial board of the Journal of Personality and Social Psychology, Journal of Social and Political Psychology, Group Processes and Intergroup Relations, The Australian Journal of Psychology, and Behavioral Sciences of Terrorism and Political Aggression. She is a Fellow of the Society for the Psychological Study of Social Issues, a Fellow of the Society for Personality and Social Psychology, and a Fellow of the Australian Psychological Society. She is a member of numerous professional associations including the Centre for Research in Social Psychology, at the University of Queensland; the Association for Psychological Science; the Australian Psychological Society; the Society for Personality and Social Psychology; and the Society for Australasian Social Psychology. Some resources and additional details are available online at www.socialchangelab.net. Winnifred is the author of over 100 peer-reviewed articles in scholarly journals, book chapters, peer-reviewed conference papers, and scholarly reports. She has been awarded over $1m of competitive grant funding, including 4 lead-CI [Chief Investigator] Australian Research Council Discovery grants. She is the winner of numerous awards for research, teaching, and service. In 2016, Winnifred won a University of Queensland Award for Excellence in Research Higher Degree Supervision. She was identified as a 2009 Rising Star by the Association for Psychological Science, an international organisation of over 20,000 psychologists. 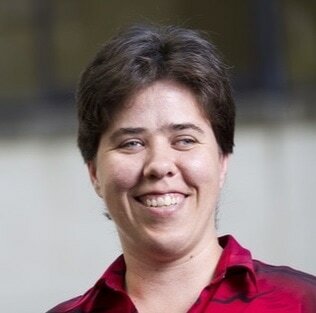 Her research awards also include the 2008 Faculty of Social and Behavioural Sciences (University of Queensland) High Commendation for Research Excellence; the 2007 Australian Psychological Society, Early Career Research award (a national award); and a 2005 University of Queensland Early Career Researcher Award. As well as the 2016 UQ Award for Excellence in Research Higher Degree Supervision mentioned previously, Winnifred's teaching awards include a 2012 honourable mention for the Society for the Psychological Study of Social Issues Outstanding Teaching and Mentoring Award, nomination by UQ in 2012 for Australian Teaching Excellence Awards, a 2011 University of Queensland Award for Teaching Excellence, a 2010 University of Queensland Commendation for Teaching Excellence, the 2009 Faculty of Social and Behavioural Sciences (University of Queensland) Teaching Excellence Award; and the 2008 Pearson Education and Australian Psychological Society Early Career Teaching Award (a national award). In service, with others, she was a co-winner of the 2007 Vice-Chancellor's Equity Award. She is the national convenor of the Australian Psychological Society interest group, Psychologists for Peace, having served as the state convenor for Queensland in 2008-9. Winnifred has served in the Public Interest Advisory Group of the Australian Psychological Society, and she is also the secretary of International Psychologists for Social Responsibility. Winnifred R. Louis (PhD McGill, 2001) is a Professor in Psychology at the University of Queensland. Her research interests focus on the influence of identity and norms on social decision-making. She has studied this broad topic in contexts from political activism to peace psychology to health and the environment. Winnifred Louis studied psychology and socio-cultural anthropology for her undergraduate BSc from the University of Toronto, then completed an MSc and PhD on the social psychology of decision-making in conflict at McGill University. She came to the University of Queensland to work in the School of Psychology on a postdoctoral fellowship from the Social Sciences and Humanities Research Council of Canada in 2001. Having discovered Australia, Winnifred ended up applying for and getting a continuing job here, as a Lecturer in the School of Psychology from 2005, Senior Lecturer from 2008, Associate Professor from 2013, and Professor from 2018. Her research concerns the antecedents of political and social behaviour, with a specific focus on choices of conflict tactics, collective action, and the expression of prejudice. More information about her research and resources for community groups are available online at www.socialchangelab.net. Winnifred also has been an activist for more than 25 years, for example supporting human rights, the environment, unions, survivors of sexual and domestic violence, and anti-racism. In the peace movement she is a member of Just Peace Queensland and WILPF Queensland, as well as the national convenor of the Australian Psychological Society interest group, Psychologists for Peace, having served as the state convenor for Queensland PFP in 2008-9. Winnifred also has served in the Public Interest Advisory Group of the Australian Psychological Society, and she is also the secretary of International Psychologists for Social Responsibility.